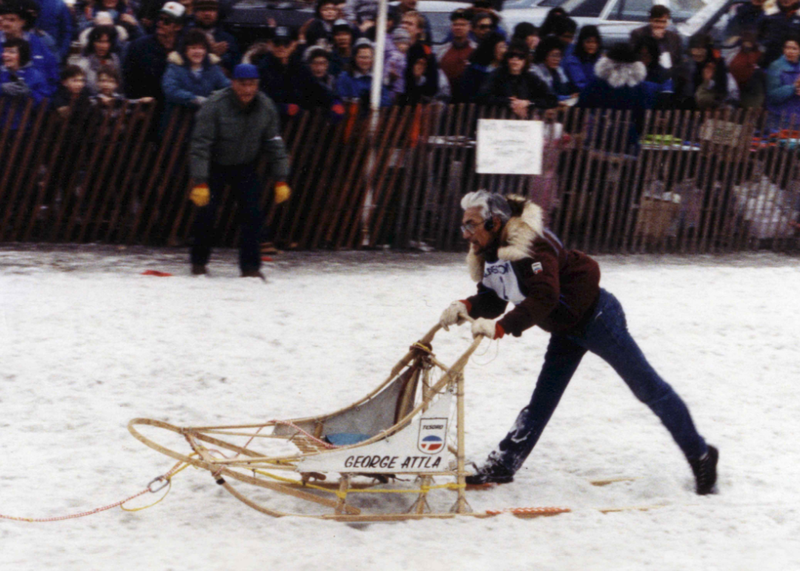 The first North American Championships (NAC) sled dog derby was held in 1946. Originally a four-day event of 18, 18, 18, and 20 miles, which followed the Chena and Tanana Rivers, the NAC was moved to the Creamer’s Field area in 1953 where it consisted of 20, 20, and 30 mile heats. 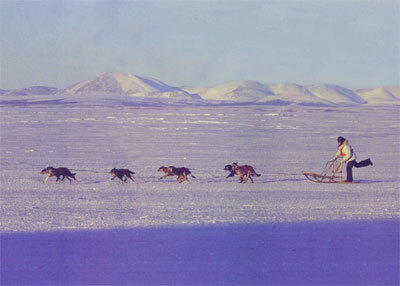 To learn more, go to http://www.sleddog.org/category/races/open-north-american/. The video below shows the finish of the 1975 Open North American World Championship at Jeff Studdert Race Ground in Fairbanks. A crowd of cheering spectators watches an exhausted George Attla win the 70-mile race over three days by a memorable 2.4 seconds.